Funny cat cartoon vectors. 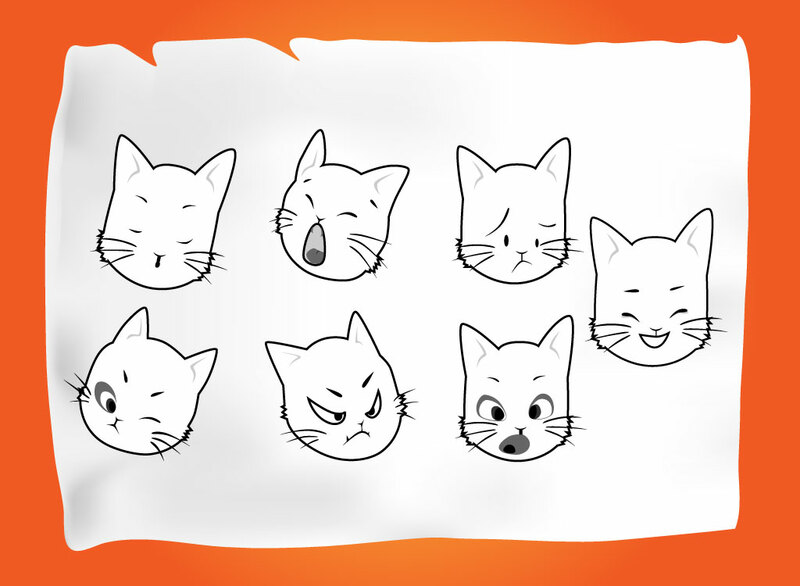 Seven cute and fun vector catheads with different expressions come in this graphic pack. Kitty cartoon Illustrator artworks set on an orange background image with white notebook paper. Cute, angry, sad, happy and confused faces all come in this free download that will let you create your own comic and cartoon scenes. Tags: Angry, Card, Cartoon, Cats, Comic, Confusion, Emotions, Kitty, Sad, Surprise.